ALL OF THE FOLLOWING QUOTES ARE FROM GENUINE LETTERS WHICH CAN BE PRODUCED FOR PERUSAL IF REQUIRED. “My heartfelt thanks and extreme gratitude for the money you sent me. I have been able to buy my three Daughters some special gifts for Christmas, but the MOST PRECIOUS thing was the hiring of a Camcorder so that my children can always remember our last Christmas together when I am no longer with them”. We are very happy to provide the full amount for your family holiday in LLANDUDNO. Holiday cost £314. HAVE A GREAT TIME. We have arranged a day out for Keane and his family to meet Keanes’ Manchester United Heroes. We are also happy to provide all travelling expenses and a complete new Manchester United kit for Keane to wear on his special day. A 5 days family holiday ( four people) to DISNEYWORLD – PARIS including all meals and travelling expenses at a total cost of £1,512. We have arranged for Brenda from Perth to travel to London in order to see her Daughter and Grandchildren. Our Charity is very happy to provide a very special holiday for Chris, his Mum and two other family members to go to DISNEYWORLD, PARIS. We would like to acknowledge our gratitude to ASDA in Liverpool for the opportunity of meeting this family and our subsequent involvement. In response to your request we are pleased to fund your family holiday for SIX people to Whitby for a week. HAVE A GREAT TIME. Fund a holiday for Fiona and her two children . 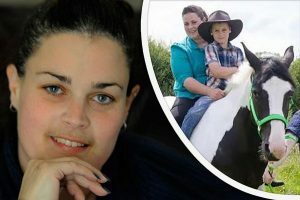 This family had all suffered greatly due to Fiona’s illness. You have made a little boy very happy. I have been able to furnish and decorate his new bedroom with ‘Buzz Lightyear’ theme. HE LOVES IT. Without people like yourselves, the families whom we support would have nowhere to turn. I would like to thank you for the wonderful gift of the stairlift for our Mam. I cannot tell you what it meant to her to feel some sunshine on her face again. I was extremely gratified to have spoken to your volunteer in SAINSBURY’S Supermarket. I was having a very bleak day and just talking to him made me feel that someone cared. It was excellent to see such a large retailer allowing Charities such as yourselves, into their stores. I cannot thank you enough for my holiday. I enjoyed a stress-free week for the first time in 4 years. IT WAS WONDERFUL. Your Charity reaches parts that the big Charities miss and is much more approachable! Mrs. Linda Cameron was overwhelmed with the substantial amount of money you gifted to her. The children will have a much nicer Christmas and she will have peace of mind. Your Volunteer was very helpful and I am grateful that you will do something for my Mother. Swimming with the Dolphins in Florida was the most exciting and unforgettable day my family and I have ever experienced. Thank you for the excellent holiday in Newbury. The HILTON HOTEL lived up to its luxurious reputation and I was able to attend my Granddaughters’ Christening which was so very important to me. Your prompt and sympathetic response to my request was wonderful and I cannot thank you enough. Thank you so much for the replacement freezer. After our telephone conversation we felt truly uplifted and know that we are very lucky to have Woodlands Cancer Care to help us in times like this. My family and I would like to thank Woodlands Cancer Care for the provision of the electronic bed. This has brought Debbie so much ease with the pain she is suffering. I know that you are only a small Charity but I thank God that you do this work. Keep it up. So many out there need your help. We are hoping to take Lee on a ‘once in a lifetime’ holiday to Florida. Due to Lees’ condition (he had to have his leg amputated in June because of the cancer) Medicover Insurance has quoted us £800 for his trip. Can you help us?Our charity met the full cost of this insurance. I could not believe that I had my reclining chair delivered WITHIN THE WEEK of contacting you. It was wonderful not to be kept waiting for something that has made my life so much more comfortable. Thank you for making it possible for Rebecca, Victoria and their Dad to swim with the Dolphins. It was a wonderful experience for us all. ‘It was such a tonic to be able to ask for something that we knew would make a difference and to be listened to with such kind concern. Many, many thanks once again for making a difference to the lives of cancer sufferers in a personal and heartfelt way. The taxis were a lifesaver when the snow was on the ground and it was so cold. I couldn’t have gone out at all if it hadn’t been for your Charity providing the taxis for us. I was surprised how quick everything was organised – the day you got my letter everything was set up for me. Thank you again, your Charity has made the world of difference at this difficult time, both financially and mentally. I would like to say a big ‘thank you’ for the electric bed you bought for me. It is making the world of difference to my comfort and ability to sleep. I cannot tell you how grateful I am. I could not believe that within ONE WEEK of getting my letter, you had the bed delivered and fitted in my home – fantastic! You truly do make a difference to people like me. kindness none of this would be possible and I can’t tell you how much I have appreciated all your help. We are very happy to send our cheque for £250. This should cover the cost of the Music Festival tickets for yourself and your Brother, your travelling expenses, and hopefully, some merchandise to remember the occasion! Have a wonderful time. The electric bed you bought for my Mum is fantastic. Woodlands Cancer Care is a great Charity. Long may it help others. We would like to thank you for a wonderful holiday. The cottage in Cumbria was perfect and we were able to take our two dogs with us. To go out every night for our meal was a treat and the food in the local Pub was splendid……and only about three minutes walk away. 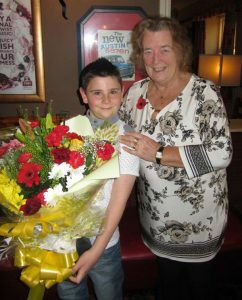 Woodlands Cancer Care funded a very special 10th Birthday for Josh. He and his parents stayed in a ‘themed room’ in Legoland (a place Josh had always wanted to visit) for the weekend of his birthday. We also provided a ‘Legoland Birthday Cake’ and meals throughout their week-end stay. Josh was ‘over the moon’. Thank you for your cheque . I am amazed at your generosity and kindness. I have now been able to purchase items which will improve my comfort substantially. In particular, the Mattress Topper has already given me the comfort to improve my sleep pattern. We cannot thank you enough. We are sending £500 to help you give your two Daughters special Christmas gifts. It is lovely to know that you are feeling a bit better ENJOY A SPECIAL CHRISTMAS. This family was referred to Woodlands Cancer Care by a Social Worker from Freeman Road Hospital, Newcastle. us lasting memories. Again, I cannot thank you enough. It is wonderful too know that there are some good people in the World and you and your Charity are up there with the best of them. We hope that you and your girlfriend enjoy a very special time at the Gisborough Hotel. We have booked you dinner, bed and breakfast and will arrange some travelling expenses for your Mother when you are admitted to the Freeman Hospital for your Bone Marrow transplant later this month. We wish you a Happy Christmas and a Healthy New Year. We gave Joe’s Mum £150 which enabled her to visit him in the Freeman Hospital Newcastle during his transplant and subsequent treatment wish lasted six weeks. We are enclosing our cheque for £500 so that you can provide your two children with special Birthday parties this year because, as you say, last year was a very difficult time and their Birthdays were not able to be celebrated. We also promise you the same amount for Christmas. in order to alleviate your stress at this particular time. This would make a total of £1,000 and we hope that this gift will help, in some way, to make Christmas special for all of your family. As we have discussed on the telephone, expediency is of the essence in this situation and we are pleased to enclose our cheque for £1,200. This amount includes the holiday cottage rental for all six members of your family, your travelling expenses, and any other outlay for meals etc. We hope that you will enjoy some quality time together. Second hand 14” portable and, due to Ian’s reduced vision because of the tumour, it was difficult for him to watch. Also, with the winter weather closing in, Ian is unable to get out and about and the T.V is his only source of entertainment. Thank you for all your kind help. We have set up an Account for you with the Taxi service of your choice. This allows for unlimited journeys to and from Hospital for your treatments etc. and any visits to your Doctor’s surgery together with any social outings or shopping excursions which you wish to make. The Charity will pay for this service in order to make things easier for you and to remove the necessity of you waiting long periods of time for ambulance or public transport. Thank You for all your kind help – the Tumble Drier has made all the difference – no more wet washing hanging in the house. I SAY THANK GOD FOR ANGELS. This family of 7 people would like to thank WOODLANDS CANCER CARE for our wonderful trip to DISNEYWORLD – PARIS. You have put a little ray of sunshine back into our lives. We were deeply saddened to hear of your situation and would like to help you to give your little 6 year old son some happy memories this Christmas. We are enclosing a cheque for £600 so you can buy him the iPod he asked for and also a significant piece of jewellery which you can inscribe with a special message from yourself. Our thoughts are with you and your family. I would like to thank you for the very kind gift made to Sally-Ann before she sadly died in December. I very much appreciate the assistance of Woodlands Cancer Care for my patients and the huge difference this can make to their lives at such difficult times. Thank you so very much for your gift of £200. I can now afford to go for my treatments in Middlesbrough by car and not have to rely on the ambulance service as they were unable to ensure my return home before my children come out of school. This was a big worry for me and you have removed that problem. Thank you again. This lady was in great need of a stair lift as her illness prevented her from being able to climb her stairs. We had this equipment fitted within a few days at a cost of £350. Our speedy intervention resulted in a significant benefit and vastly improved quality of life. This young man received kitchen equipment valued at £170 in order that he could lead an independent life in his own flat after receiving a bone marrow transplant and subsequent treatment at the end of 2013. This lady requested funding to hire a ‘sensory’ room for her autistic daughter’s 5th birthday party. ‘We have been through a very hard time this past year, so we cannot thank you enough for your help to make this all possible’. Chris is so courageous, after all, 47 tumours in 12 years is devastating. Our Charity has been privileged to have been a (very small) part of his life. You say how important his guitar is to him and the fact that he is part of a band (even if it is heavy metal!) We are happy to enclose our cheque for £200 so that he can pay his share for the hire of ‘practice rooms’ for the next few months. I wish to express my deep appreciation for the stairlift which you had fitted so quickly. Only three days after sending my letter, the fitter called at my home and the day after that, the stairlift was installed! IT WAS AMAZING!! It has made a huge improvement to my quality of life and, in fact, I would not have been allowed home from hospital if I had not had the stairlift because my breathing is so difficult and climbing the stairs would have been impossible. Thank you from the bottom of my heart. 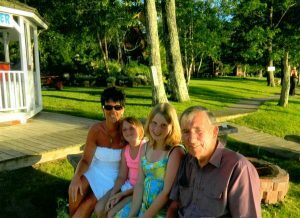 Travel insurance costs met by Woodlands Cancer Care, in order that this gentleman could enjoy quality time with his family who live in the U.S.A.
Melissa and her family went to Legoland for a short break holiday funded by Woodlands Cancer Care.